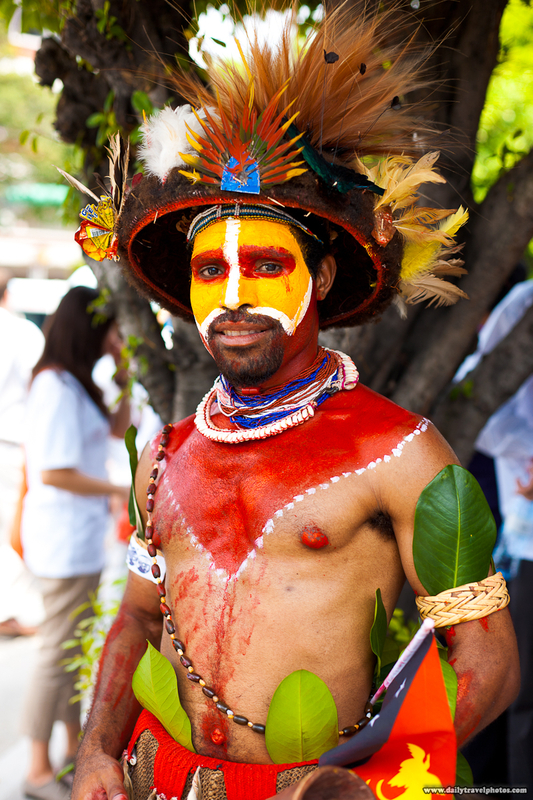 A Papua New Guinea man displays the traditional tribal clothes of his countrymen. Another foreign participant of the Taiwan Centennial program was a man from Papua New Guinea. The amount of detail that went into his outfit easily made him the most photogenic of all participants. Imagine this man walking around in downtown Taipei. Strangers relentlessly approached him to request a photo and he kindly obliged each one.